That’s what I call a Classic!!! 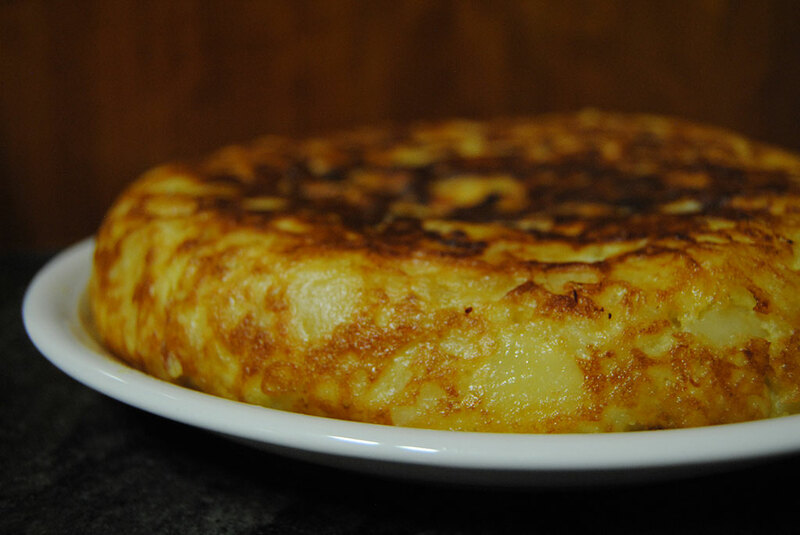 Spanish omelette or as we say “Truita de patata i ceba”. 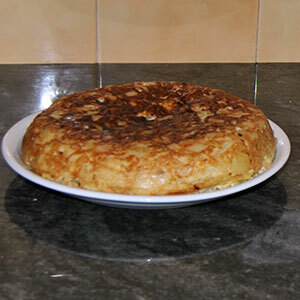 It’s one of those simple and perfect recipes that, just taking care choosing the best ingredients possible, the success is assured. Number of Servings 1 medium size omelette. 3-4 servings. Peel the potatoes and the onions and finely chop them. In olive oil, fry the potatoes at low heat until soft and tender. 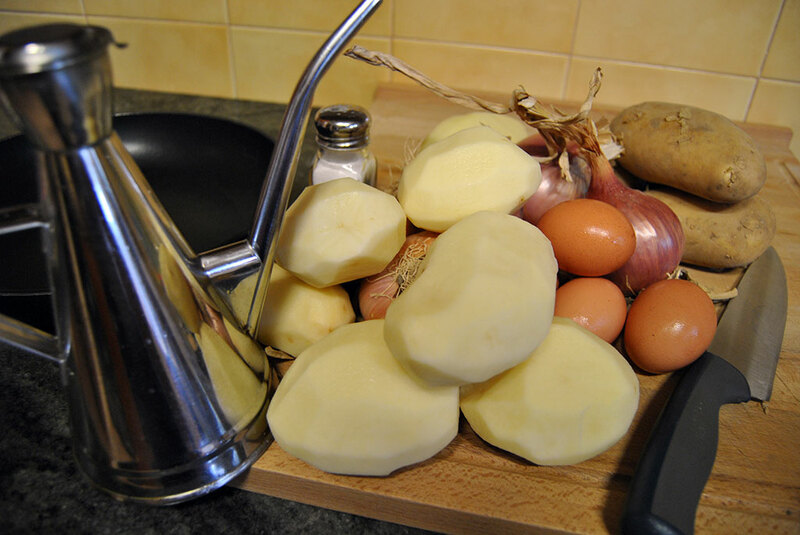 Strain the potatoes through a colander into a large bowl (set the strained oil aside). Do the same with the onion until golden and caramelized. Use the potatoes strained oil. Add salt, the potatoes and the onions. Pre heat hight the frying pan and add 2 tablespoons of olive oil. I use the strained oil. 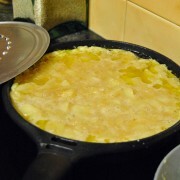 Add the mixture to the frying pan over the hot oil and stir it to avoid the omelette from sticking. Lower the heat to a minimum. Cook covered until golden. When almost set, use a lid to invert the omelette. Cook a few more minutes until done. Moving the pan in circles helps to keep the rounded shape. Slide on to a plate and cool for some minutes before serving. Better use a plate to invert the omelette if shapes well inside the frying pan.